IT WOULD appear last summer’s love affair with cider was no brief encounter. If anything, it is flourishing second time around. Where previously specialist bottle shops were trying to squeeze in more fridges to meet the growing demand for craft beer, now they are rearranging again — this time to create dedicated areas for cider. Last month, figures from ACNielsen showed Australian cider consumption has increased fourfold in the past three years. Even Melbourne landmark pub Young & Jackson’s has a dedicated cider garden. A simple rooftop nook that is hardly one the city’s swishest retreats, it nonetheless has an international choice of cider tipples, including Britain’s Stowford Press. Meanwhile, fruit-flavoured confections such as Sweden’s Rekorderlig, fresh from storming the European market, are flying off the shelves so fast importers are struggling to keep up. Boutique cider is also enjoying a spike in interest. Victoria’s established artisanal producers, such as Henry of Harcourt and Bress, are planting more trees to try to meet demand. New small-scale producers are joining the market — some using real apples and pears, others buying concentrate. 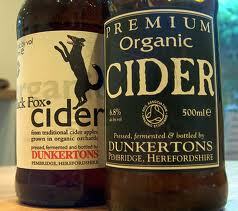 And a greater range of “real” ciders is being imported from Britain and Europe.